Navigating the University of Arizona campus whether you're a new or returning student can be challenging. 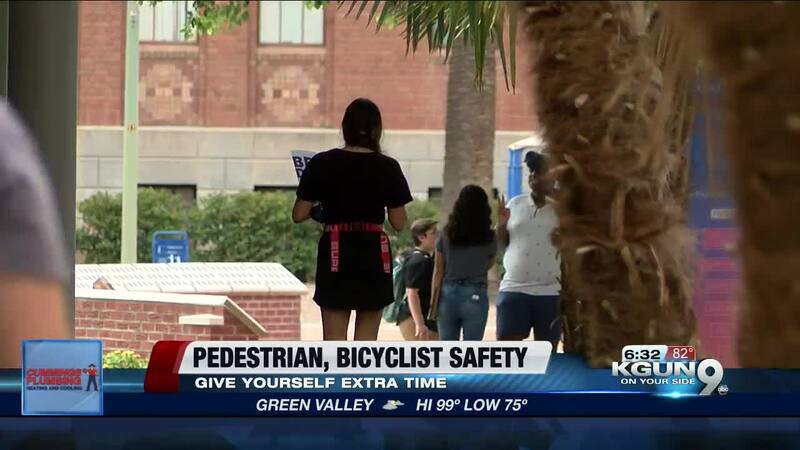 With Monday being the first day of classes, campus officials share safety tips and reminders. Almost 8,000 new freshman students will be making their way to their first day of classes at the U of A. 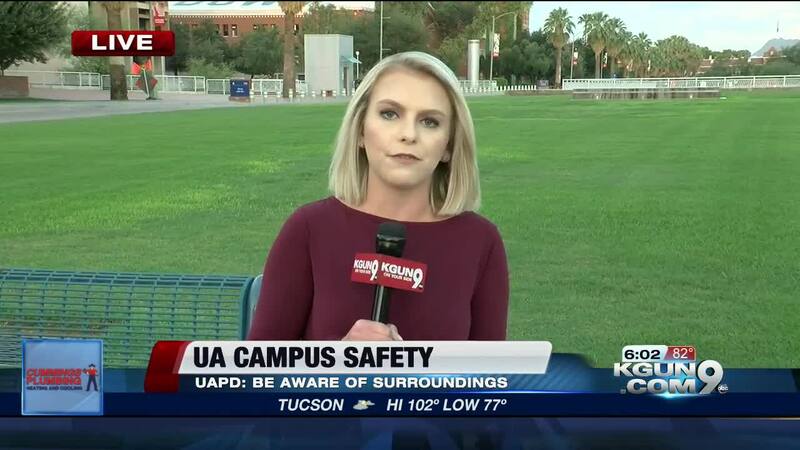 Besides figuring out where those classes are on campus, U of A Police want you to be aware of your surroundings. Campus police say they see a lot more activity in general with the start of the school year. It's an exciting time as thousands of new students join several more thousand returning ones. One of the biggest problems UAPD sees on campus is property crime, which happens when valuables are left in sight and unattended. Locking your car, keeping things like computers and backpacks hidden and remaining vigilant are some tips UAPD spokesperson Cindy Spasoff recommends. Spasoff reminds U of A students that they can download the Live Safe App to report crimes and suspicious activity. Students can also request a safe ride or walk home. Whether you're driving, walking, or biking on campus, it can seem like everyone is in a hurry to get somewhere. With thousands of new students trying to figure out their way around for the first time, campus officials want to remind everyone to be patient. David Heineking with U of A Parking and Transportation says the best thing you can do is leave early. "Give yourself a little extra time. Everybody's trying to get here right at class change or right at the start of class, so give yourself some extra time," Heineking says. "Come early, get familiar with where you're going to park or where you're going to walk to or where the bike lanes are." Heineking also reminds students that traffic rules apply on campus including stop signs, bike lanes and crosswalks. Using your phone any way you get around on campus can be dangerous so if you need it for directions, he says to pull over to figure out where you're going.